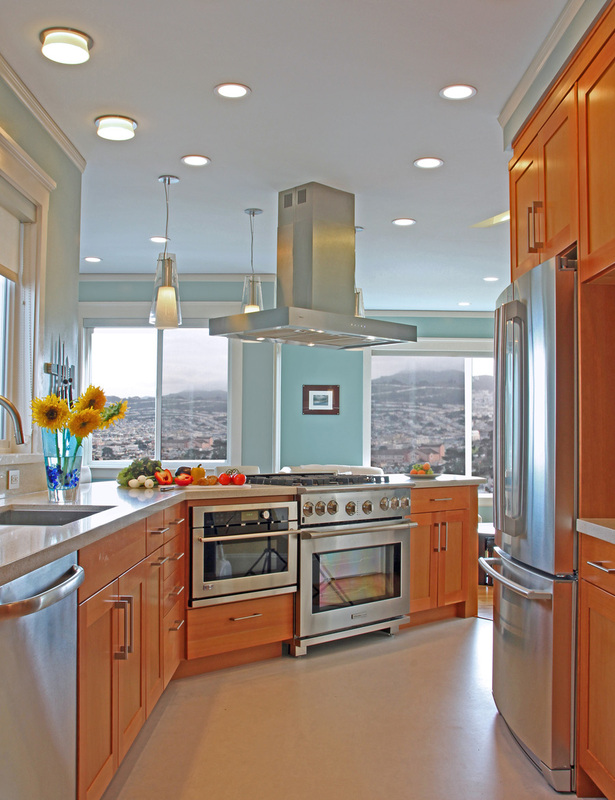 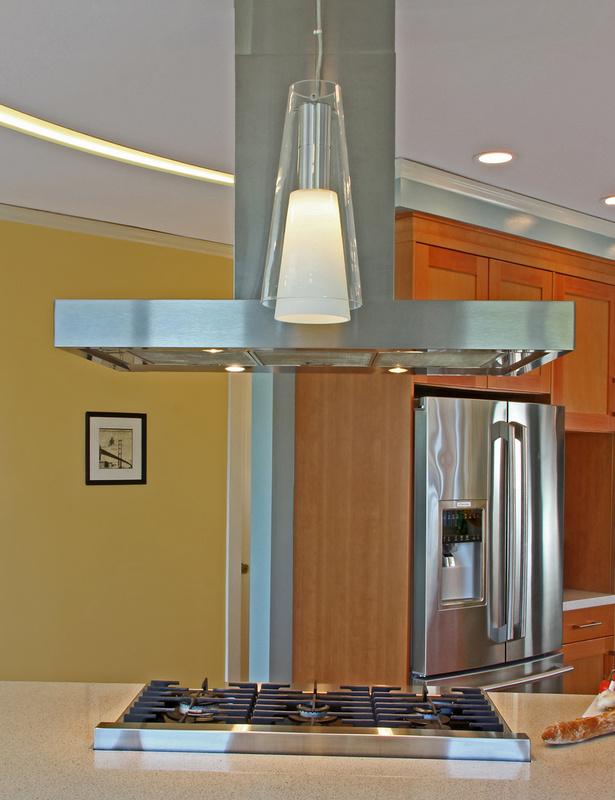 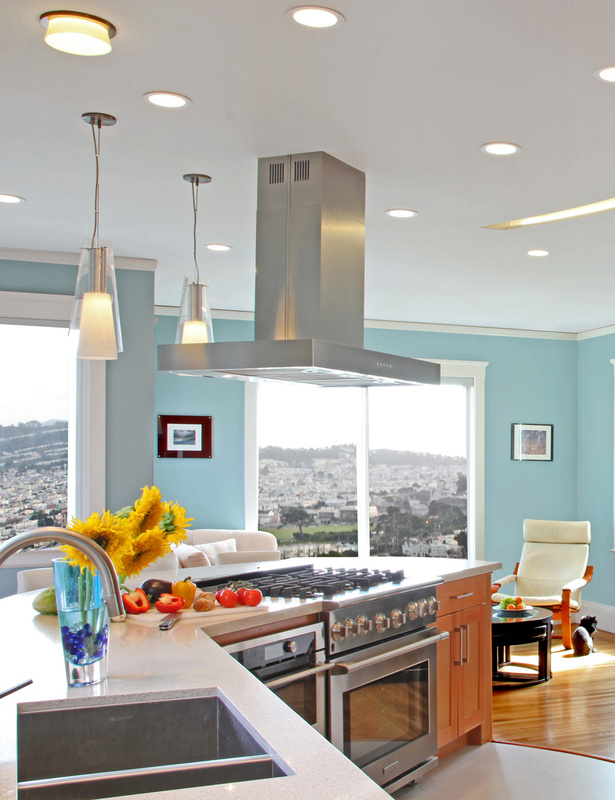 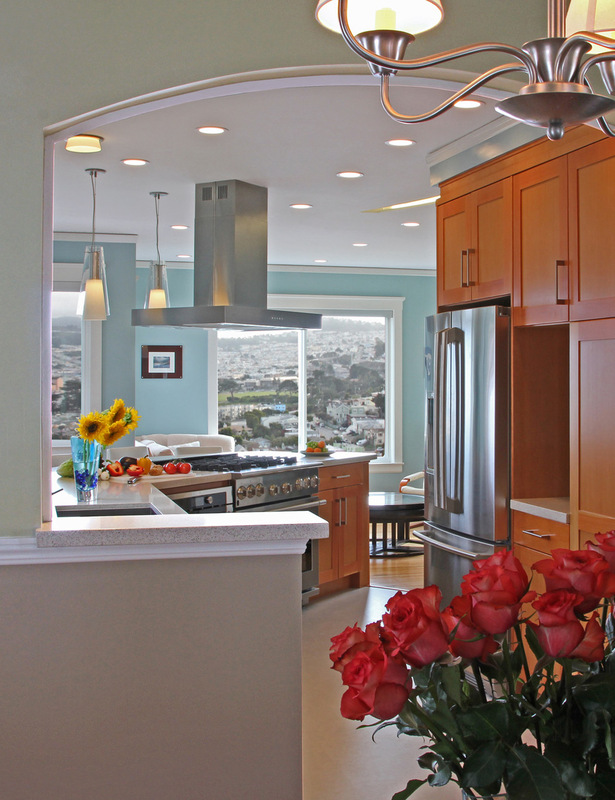 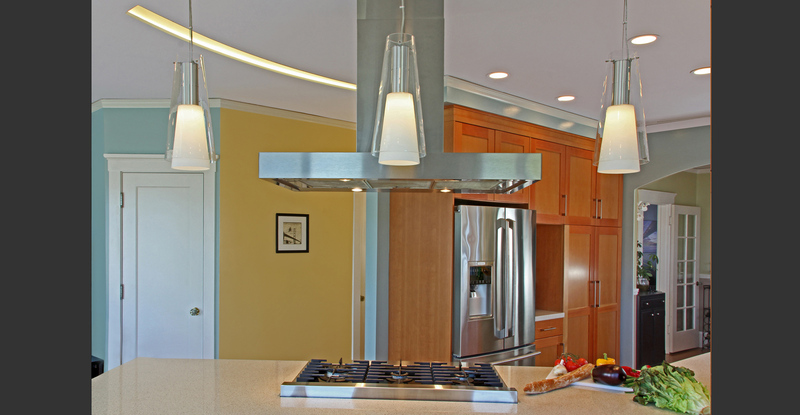 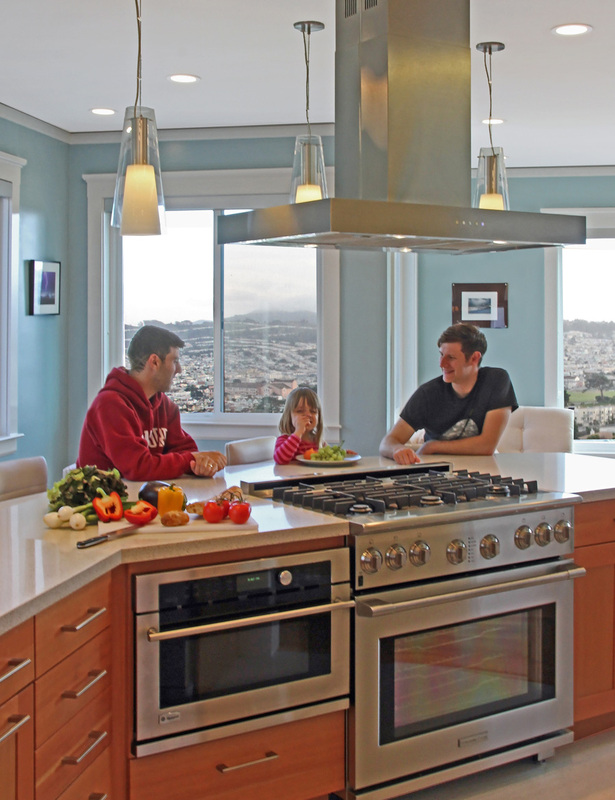 The San Francisco Contemporary Kitchen features an expansive light filled space. 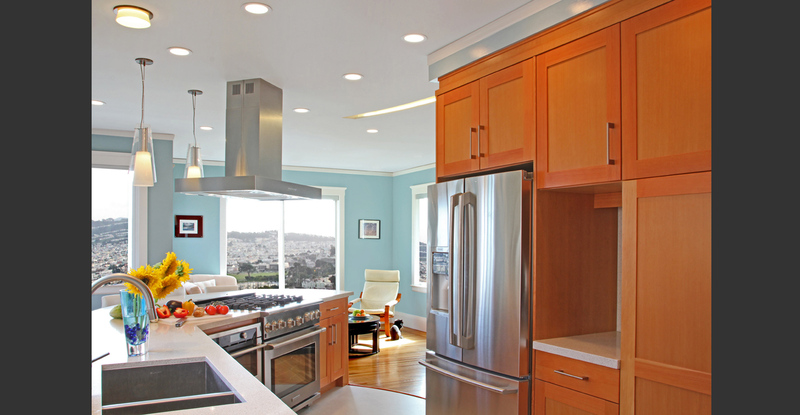 The new Kitchen blends seamlessly with an existing early 20th century home. 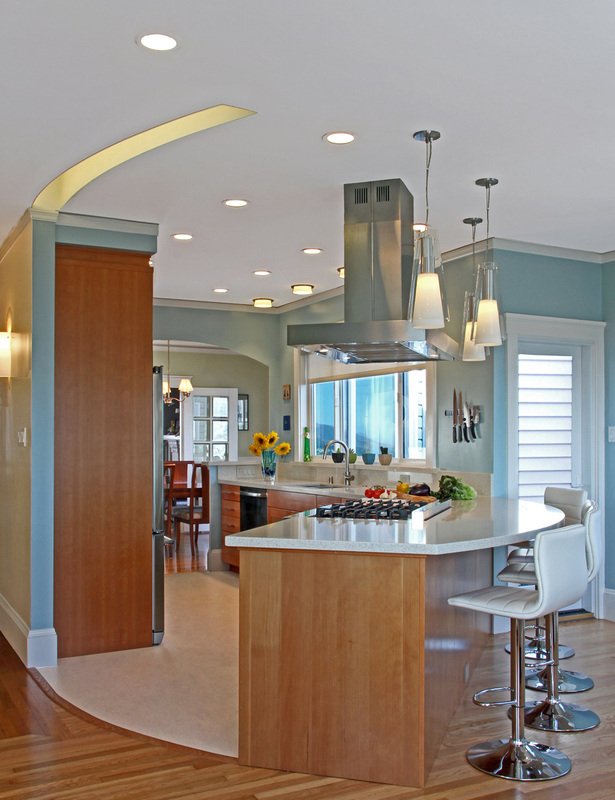 An angled Peninsula island with dramatic curving geometry leads the eye to panoramic views. 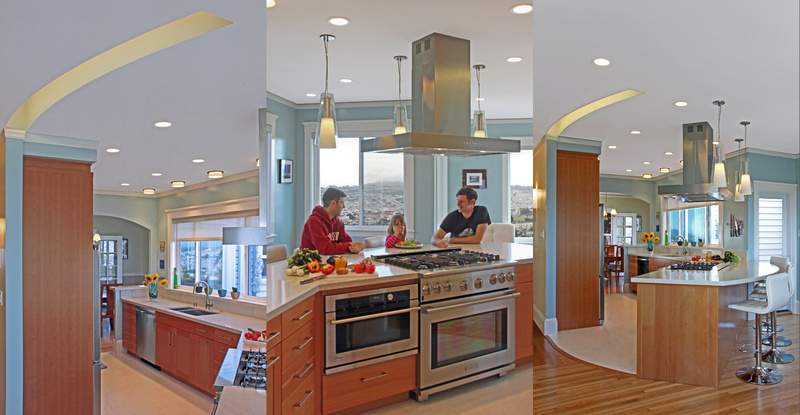 The open Kitchen functions well with the existing formal Dining and Living Room, while flowing openly into the informal Family Room. 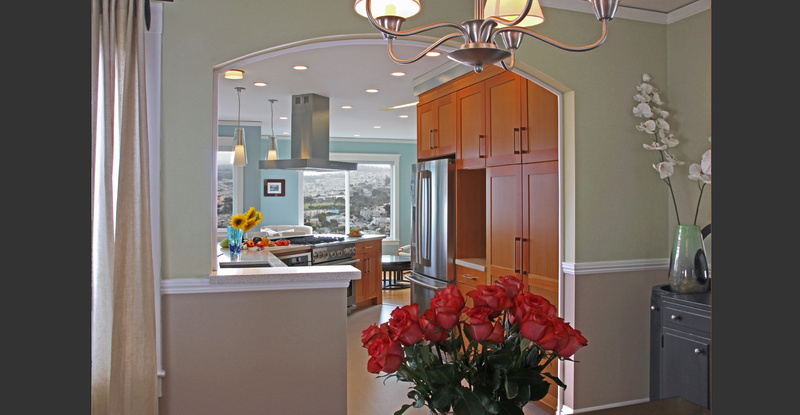 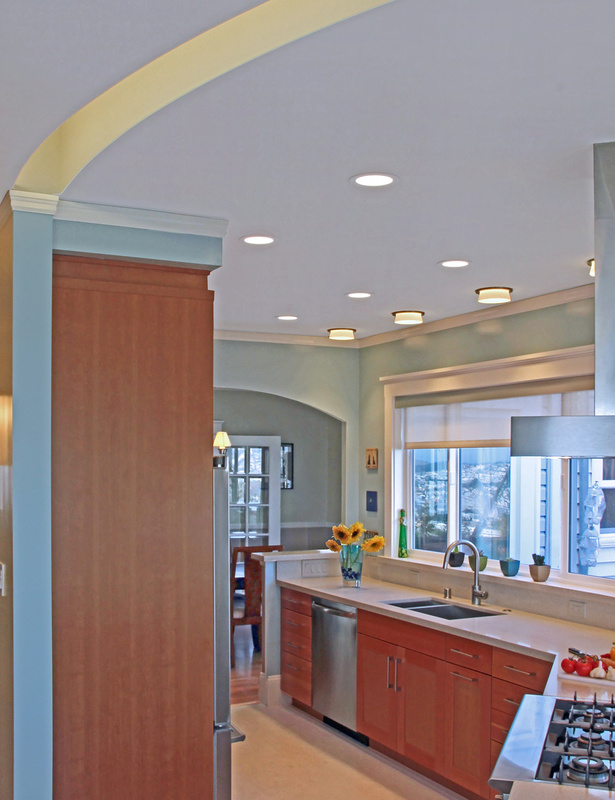 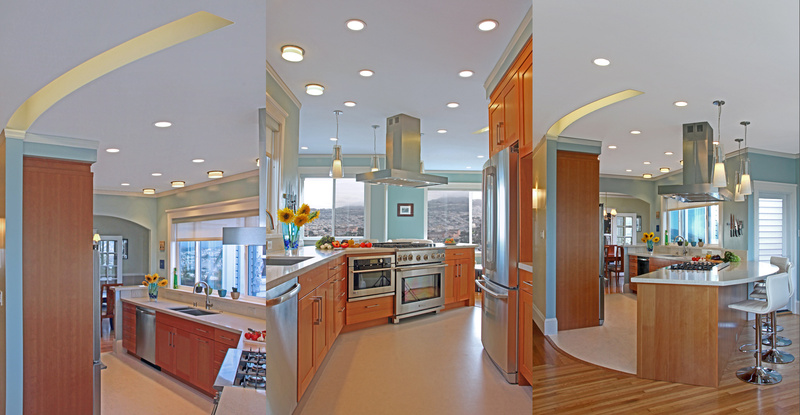 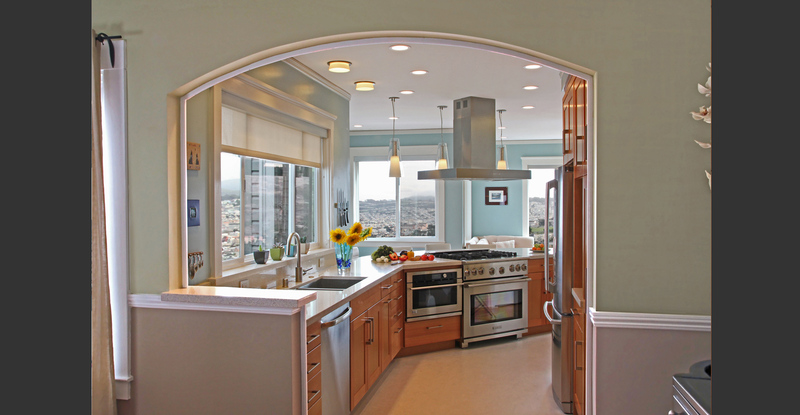 The San Francisco Contemporary Kitchen has unique detailing, including a recessed curving light Valance that enhances the curves and arching motif, and dramatically points towards the stunning views beyond.